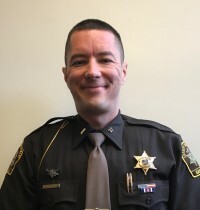 Lieutenant Dush has been with the Isabella County Sheriff's Office since 2001. He was hired as a part time corrections officer and worked in that capacity until 2004 when he was hired as a road patrol deputy. In 2014 he was promoted to sergeant, and in 2016 was able to successfully complete the Northwestern University School of Police Staff and Command. In 2017 he was promoted to Jail Administrator. As the Jail Administrator, Lt Dush oversees the operations of the facility including the supervision of Corrections and Food Service Staff. Lt Dush also works on policy development, Department of Corrections guidelines and inmate custody issues. Lt Dush works closely with other county and state agencies to maintain the jail population and plan for the future of the facility.